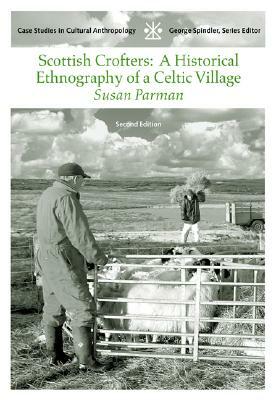 SCOTTISH CROFTERS: A HISTORICAL ETHNOGRAPHY OF A CELTIC VILLAGE focuses on Geall, a community in the Scottish Outer Hebrides. With an understanding gained from an intimate, long-term relationship with Scotland, things Scottish, and the people of the community, the author describes Geall as a human community and places it in the wider cultural, historical, economic, and sociopolitical contexts of maintaining relationships to Scotland, England and Europe. The book emphasizes the way symbols are used to interpret elements of the culture such as economy, power, mental illness, and religion by exploring the significant symbols associated with the state, the mechanisms for integrating community and state, and how people define leaders and social role.